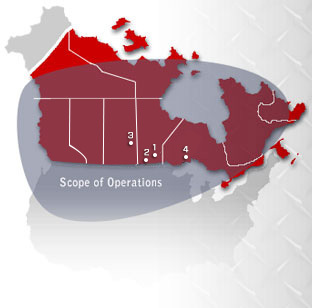 Paul’s Hauling Ltd. maintains a number of terminals across Canada, allowing us to provide effective transportation and logistics services to a large area of North America. For more information about each of our facilities and the scope of our operations, please see the map below. Highlighted locations provide extra information.